Welcome To Misfit Toys Rescue Division! Welcome to Misfit Toys Rescue Division, Inc's webpage! Here you will find all of our latest news, horses available for adoption, volunteer information, and a sample of our adoption agreements. It is our greatest hope to find the perfect match for each of the horses in our care, and we commit to provide a home for life to each horse we take in, no matter the severity of their needs. We take great pride in the quality care, evaluation, and rehoming we provide to each horse that we save from auction, killpen, or other dangerous situations. Our rescue is unique in that we specialize in unwanted and problem horses, working with them through each issue and fully retraining them until they are ready to find a new home that is suitable to their specific needs. We do not use foster homes for our rescues, and we always keep the horses here at our farm for a minimum evaluation period of 3-6 months, so we know the horse well enough to make the perfect match for him during the adoption process. Because of this commitment, we love these horses as if they were our own and promise to take each one back if their placement doesn't work out for any reason. If a horse becomes fully retrained and cannot find a home for any reason, he gets a job at the rescue either giving lessons, being a camp horse, or being a companion to another new horse. We find that the prouder a horse is of himself each day, the more he is willing to give and accomplish. Most of our Misfit Toys will even attend a few horse shows per year! Come cheer them on as they show the world that they are not just misfits! We created our rescue to make a difference in the horse world. We seem to be living in disposable times, and horses are noble beings and friends that are proud to be our partners, and deserve to be cared for from birth to death. It was painful to watch horses be used and then disposed of when owners didn't win enough with them, or didn't give the relationship enough time to grow. We decided to step in for these horses and make a difference in their lives, teaching them to trust again and assigning them new, more appropriate jobs they could be proud to perform and could be successful doing each day. By treating the horses with respect and dignity, as well as seeing each one as useful in his own way, it allows the horse the first stepping stone to overcoming his fears and becoming a good partner to his new human. We use a slow, easy retraining method, along with veterinary, chiropractic, and proper farrier work to correct any issues our rescues have that may have caused previous roadblocks in life. Our new and permanent facility is now located just outside of Shelbyville, KY in the quaint little bordering town of Southville. We now have 27.4 acres of pasture space for our retired and sanctuary horses! We will be building our facility from the ground up and look forward to creating a space that is rehab specific and will meet our exact needs, as long as accomodates our free riding lesson program for underpriviliged children in the immediate area. Our director Danielle Navarro is a second generation horseperson whose father was also committed to bettering the lives of at risk and lower priced horses and retraining them for success in the show ring. 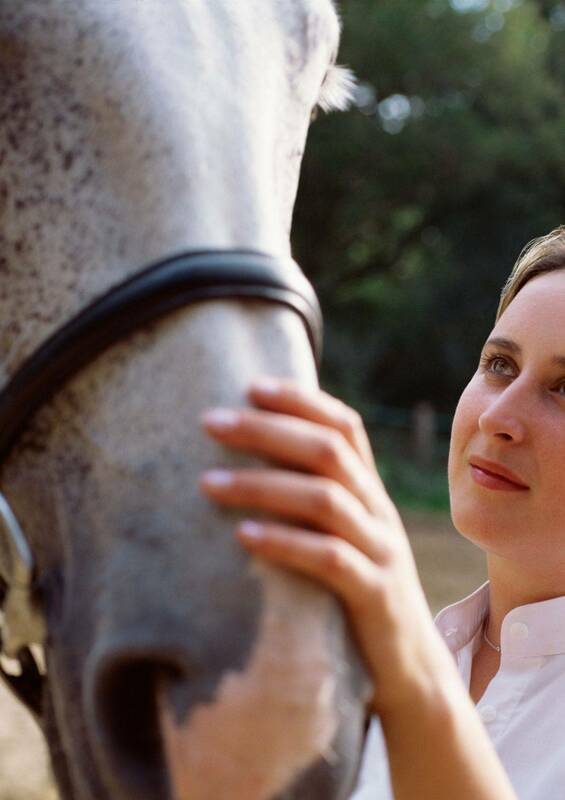 She uses the methodology that there "are no problem horses, only problem riders" to solve most of the horse's problems during the retraining process. She sees value in each horse and sees them all as completely useful, even if in very creative ways. We are always accepting new volunteers to learn the in's and out's of rescue, along with how to refeed, retrain, and properly care for horses and their emotional and physical health. Please contact us for more details! We are not breed specific, but specialize in Saddlebreds, Arabians, and Quarter horses, retraining each for jobs in the Saddle Seat, Western, and Reining disciplines. In addition to horses we save at auctions or killpens, we take in owner surrenders and unwanted horses all year long. Please contact Danielle for details!